What artist doesn’t love, or wanted to try, painting en plein air? As part of our on-going MoB Makers drawing series, workshop participants will have the opportunity to visit various historical sites around Brisbane that reveal the complex story of our city’s convict past. 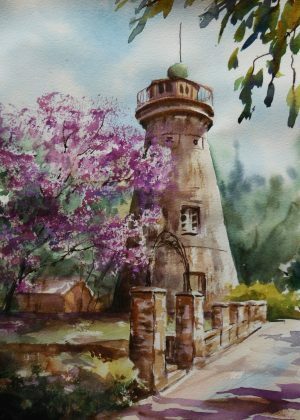 Facilitated by acclaimed Brisbane-based watercolour artist Maria Field, participants will be guided through the ‘where do I start’ question and learn how to simplify the scene. Focal points, drawing, tone, light and shadows, counter change, depth and texture will be covered. Over the four sessions Maria will explore mediums and styles as varied as ink and wash, watercolour pencils and travel journals to full watercolour paintings. 4074 the Farmers Colour Explosion! Where is the Best Library in Brisbane?